The Child Dental Benefits Schedule (CDBS) is a Medicare program for eligible children or teenagers aged 2-17 years. It provides up to $1000 in dental benefits over two consecutive calendar years for dental services such as exams, x-rays, fillings, teeth cleaning, fissure seals, root canals and extractions. Eligibility for the CDBS is assessed each calendar year, a child must be aged 2 to 17 years for at least a day of the calendar year, be eligible for Medicare, and receive Family Tax Benefit Part A or other Australian government payment. 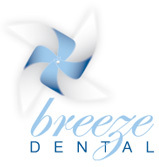 At Breeze Dental Helensvale Gold Coast, we believe in a lifetime of healthy smiles, so we are happy to bulk bill most treatments for eligible children under the Child Dental Benefits Schedule. You can check your child’s eligibility by calling 132 011 or through your Medicare online account at my.gov.au.